Hi! My name is Michelle and I blog over at Sewnhenge, but today I’m excited to be here with Megan Nielsen to show you how to make a fun lace triangle cutout to the back of the Mini Briar. You could also use a regular knit instead of lace to make a color block. Today’s Design Diary is brought to you by Katrina from Offsquare.com. Katrina is a freelance writer and sewing enthusiast living in small town New Zealand, blogging her handmade wardrobe one make at a time. Hello! 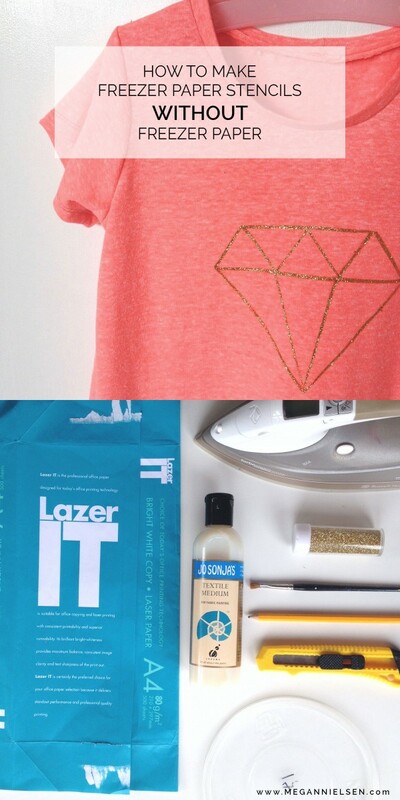 I’m so excited to be sharing my stencil tutorial with you today. It’s perfect for popping onto the Mini Briar, but how cute would some little prints be on those Mini Virginia leggings too? Stencils are a great way to add personality to any garment. But the popular method of using freezer paper is tricky if you live somewhere that doesn’t sell any (NZ, I’m looking at you). So I’ve found an alternative that will have you printing in no time at all, using a resource most of us have ample access to. 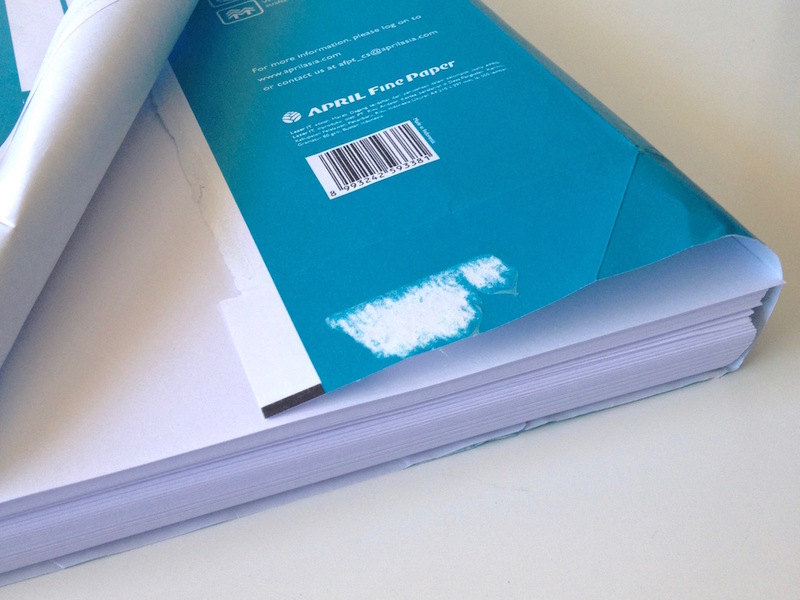 Surprisingly, it’s the humble, waxy wrapper that you find around a ream of photocopy paper. The waxy coating on the outside is perfect for lightly (and temporarily) fusing to fabric, meaning that paint is less likely to bleed through your crisp lines than a reusable stencil might. Hello, I’m Heather! 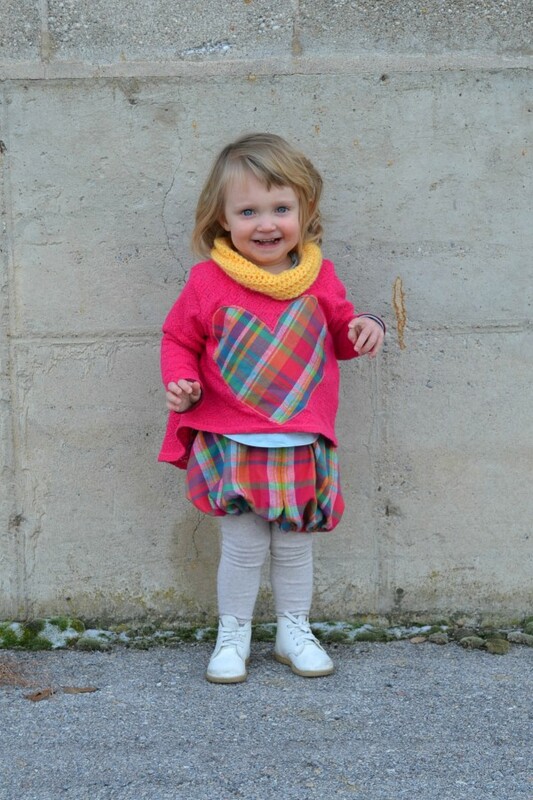 I love to sew, and I really love to sew and create cute wardrobes for my kids. I was so excited to hear that Megan was coming out with kids patterns! 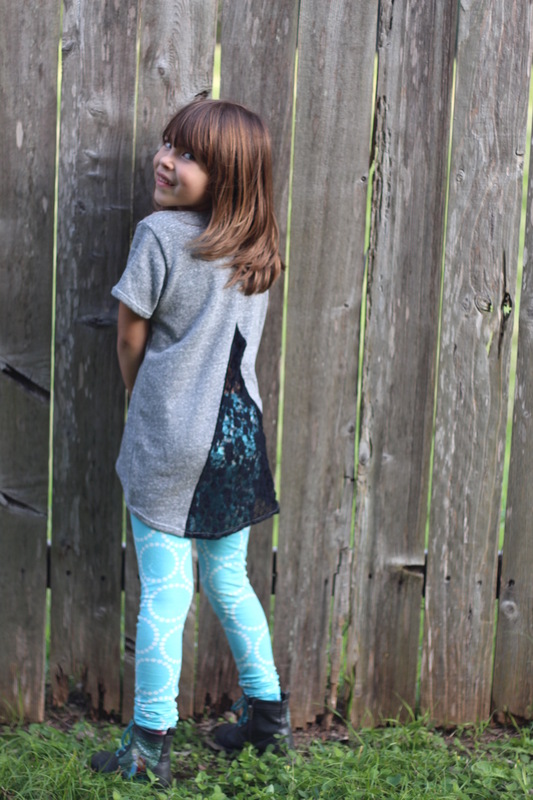 These new patterns are so stylish, but so kid-friendly. 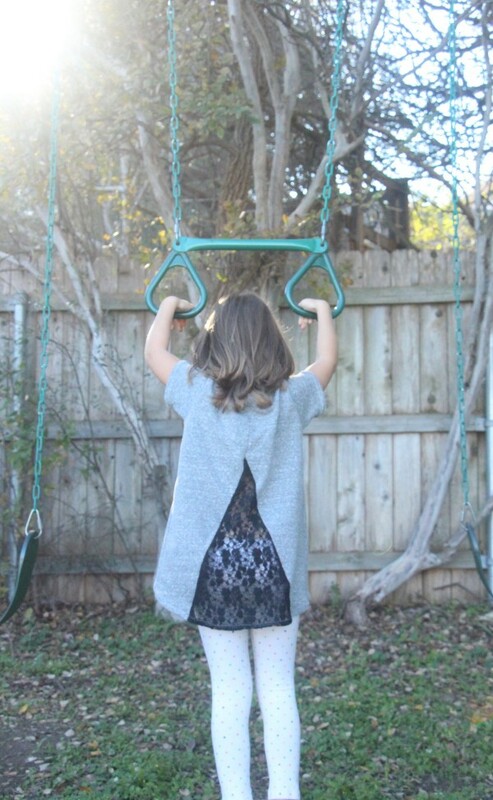 The Mini Tania is perfect for busy little girls, and I decided that I could add versatility to the pattern by making some Mini Tania bloomers. Bloomers would be really fun for the smaller sizes. To make the bloomers I did not alter the pattern in any way. I used the shortest version and just changed the way I finished the hem. 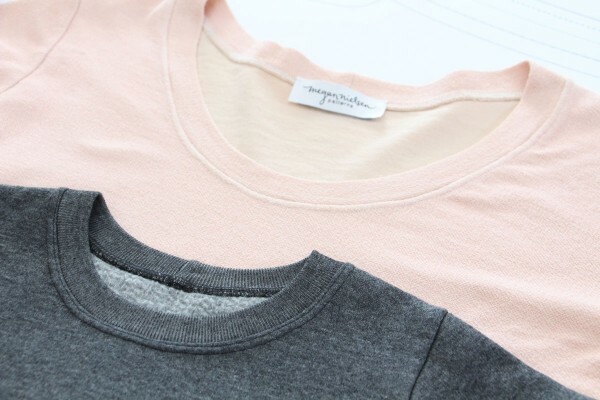 Today we’ll be covering how to add a neckline band – the most common neckline finish you’ll see on tshirts. 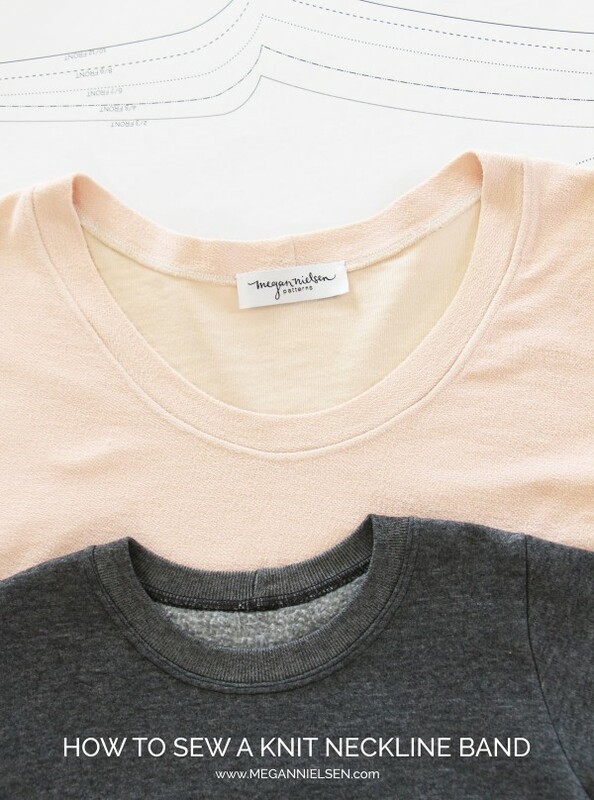 You can attach a neckline band to any tee using either ribbing, self fabric or contrast fabric. You’ll just need to make sure that your fabric has the appropriate amount of stretch. If you need help calculating stretch percentage don’t forget to check out this post all about stretch percentage, and download my free guide. This neckline works beautifully on the Briar sweater and tee, Mini Briar sweater and tee and Cara maternity tee sewing patterns. In the Briar and Cara i provide a pattern piece for a neck band made from self fabric. If you choose to use ribbing with the Briar or Cara you’ll need to remove about an inch (possibly more) from the neckline band pattern piece to compensate for how stretchy ribbing is. In the Mini Briar pattern i provide pattern pieces for creating a band from ribbing and self fabric. My dears we have a special treat for you all today! Some of our lovely pattern testers have been kind enough to let us share their creations with you! And let me tell you, they all did amazing (and these are only the Mini Briars!). 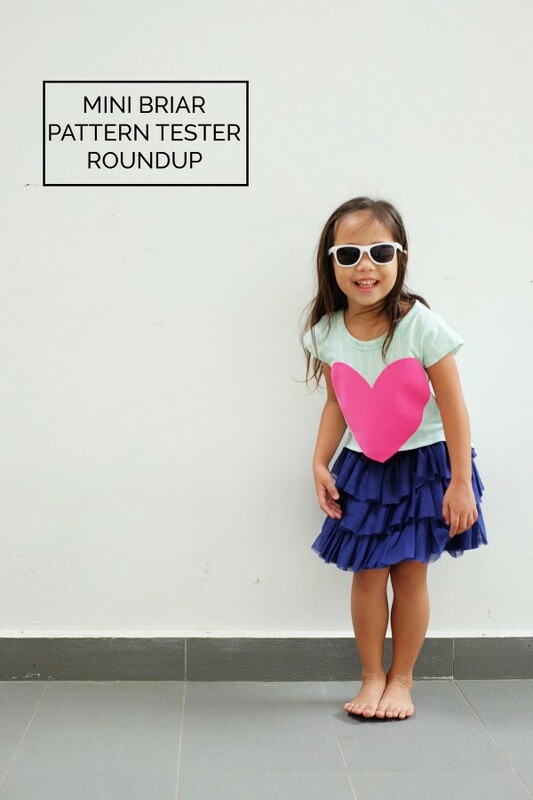 Check out all the cuteness explosion below, and stay tuned – we will be sharing two more roundups (for Mini Tania and Mini Virginia) with more adorable creations!